1. Surgical Management of Complications of Multimodal Therapy. 43rd International Society of Pediatric Surgical Oncology Symposium. Auckland, New Zealand. 26-30 Oct 2011. 6. Delayed Complete Resection of Advanced Neuroblastoma. 1st ASEAN Congress for Pediatric Surgeons. Malaysia. August 2006. 8. Gross Total Resection in Chemoresponsive Advanced Neuroblastomas – Preliminary results from KK Children’s Hospital. 4th SIOP-Asia Congress in Shanghai, China, April 2006. 10. Childhood Mediastinal Masses that Underwent Surgical Reseaction. 37th Congress of International Pediatric Surgical Oncology at Vancouver, Canada, Sep 2005. 11. Appendectomies in Childhood Immunosuppression : in for a rough ride ? 36th Congress of International Pediatric Surgical Oncology at Oslo, Norway, Sep 2004. 12. Central Venous Access Ports in Childhood Cancers. Singapore-Malaysia Congress of Medicine in Kuala Lumpur, Malaysia, Sep 2003. 13. Critical Mediastinal Mass Syndrome in Childhood Cancers. Singapore-Malaysia Congress of Medicine in Kuala Lumpur, Malaysia, Sep 2003. 1. VATS (video-assisted thoracoscopic surgery) in Children. Annual Scientific Meeting, KK Women’s and Children’s Hospital, Singapore. 26 Jul 2008. 2. Surgical Advances in Children with Feeding Difficulties. Paediatric Conference, Mount Elizabeth Hospital Singapore, 18 Mar 2008. 3. 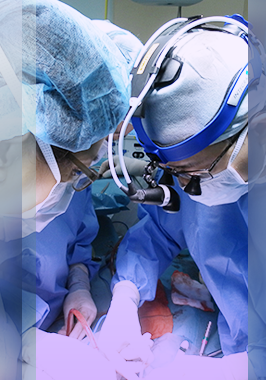 The Role of Minimally Invasive Surgery in Children. Medical Conference, Mount Elizabeth Hospital, Singapore. 30 Nov 2007. 4. How Children Differ from Adults in MIS (Minimally Invasive Surgery) ? Paediatric Laparoscopy Masterclass. 18th Videourology World Congress. Singapore 2 March 2007. 9. Pediatric Laparoscopy in Suspected Acute Appendicitis – What Else Can It Be ? International Pediatric Endoscopy Group (IPEG) Congress, in Los Angeles, USA, 10 – 13 March 2003. 10. 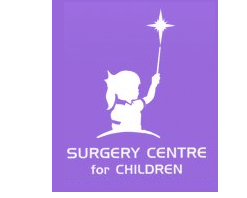 Scrub Nurses’ Attitude Towards Development of Pediatric Minimally Invasive Surgery in Singapore. International Pediatric Endoscopy Group (IPEG) Congress, in Los Angeles, USA, 10 – 13 March 2003. 11. Initial 5 years in the Development of Minimally Invasive Surgery in a Pediatric Surgical Unit. 18th Congress of Asian Association of Pediatric Surgeons, Oct 2002. 12. How I do Laparoscopic Fundoplication and Button Gastrostomy ? 18th Congress of Asian Association of Pediatric Surgeons, Oct 2002. 1. Abdominal Pain in Children. Medical Conference, Parkway Hospitals, Singapore. 18 Nov 2007. 2. Intussusception – Surgical Concepts and Management. Monthly KK Women’s and Children’s Hospital Conference, 4 May 2007. 3. Intestinal Obstruction in Children. Paediatric Intensive Care Nursing Course, Singapore. Mar 2007. 7. Scabbing in Childhood Circumcisions - Hospital Monthly Research Meeting, KK Women’s and Children’s Hospital, November 1998.